So how can you create healthier habits within your population? Let’s say you’ve reviewed your recent HRA data and you find that the majority of your participants are ready to make a change in their exercise routines. Other companies have used information from HRAs and had overwhelming success. For example, Nebraska Medicine saw a 400 percent increase in fitness center usage when they made access to the center easier after reviewing their data. What change will have the biggest impact on population health? For your organization, this might mean creating an employee running group, walking group, or exercise class. A reminder, or cue, helps to form a habit when embedded in an activity you already do. It requires less memory and motivation than performing the action on its own. In this case, you could arrange your group activity to immediately follow a weekly team meeting or lunch. This way employees don’t have to remember the event each week. They can simply join their coworkers in migrating from one group activity to the next. This is just another benefit of creating a culture of health. The amount of time it takes for a new behavior to become automatic varies depending on the person, behavior, and circumstances. But on average, it takes two months before a new behavior becomes automatic. So maybe for the first few weeks you’ll need to send calendar invites with 15-minute reminders before the start time, in addition to your built-in cue. Hopefully over time, though, your dedicated members will become accustomed to participating. If the action is followed by a reward this will make the participant more likely to repeat the action the next time they receive the reminder. For example, there are multiple intrinsic rewards that will come with taking a break at lunch to participate in a group fitness activity. Your employees will not only be healthier, but also be able to give their eyes a break from staring at a screen all day, stretch their legs, and socialize/bond with coworkers. You may also want to encourage your employees to take a moment to give themselves credit for making a healthy choice. Encourage your population to always try to form better habits. 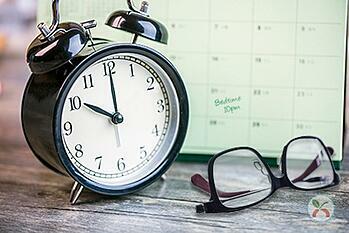 For better or worse, “habits are malleable throughout your entire life,” says Duhigg. Make sure in the case of your population it’s for the better. 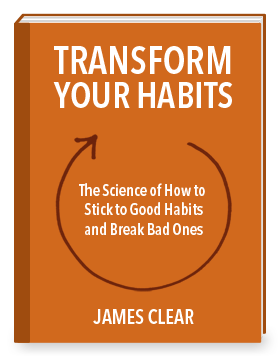 Learning how to form good habits will help your population in the Readiness to Change model, where they will be striving to move forward through the stages of change and maintain that change. 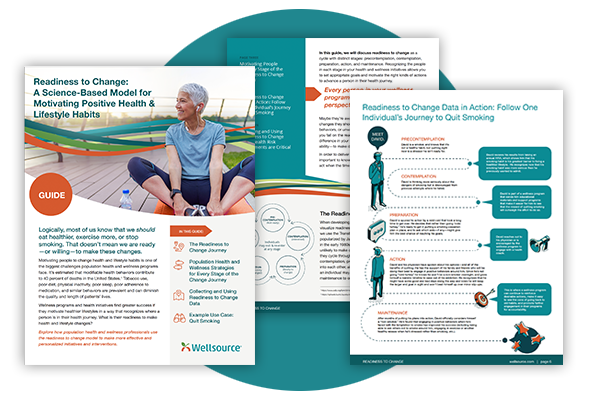 Learn more by reading Change Readiness: The Critical Component to Wellness Engagement.